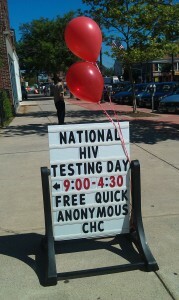 Today, my Facebook wall and my Twitter feed is full of reminders that today is National HIV Testing Day. Last week, we provided testing at our sites in Meriden and New Britain. Today we are providing testing at our site in Meriden. Have you been tested? The importance of testing was brought home to me in an email that Dr. Marwan Haddad sent to CHC staff working on promoting National HIV Testing Day. I am sharing part of that email here, with his permission. We have made tremendous progress in the last 30 years moving HIV infection from a near-certain death sentence to a chronic, manageable disease. Yet, it is heartbreaking that despite these advances, every day, I continue to see the effects of such a stigmatizing disease plague my patients. Just today, I saw several patients who remind me that our fight against this disease is long from over. I saw one patient with advanced disease who nearly died 2 months ago from AIDS-related causes continue to fight this infection alone, too ashamed and fearful to share his diagnosis with his family and friends. I saw another patient, 30 years old, who was diagnosed with HIV at age 16 and who has not sought care until now. He has developed AIDS. He also has not shared his diagnosis with anyone, not his family or his friends, and he has stopped having any intimate relationships since the age of 19, because he feels so ashamed and stigmatized. 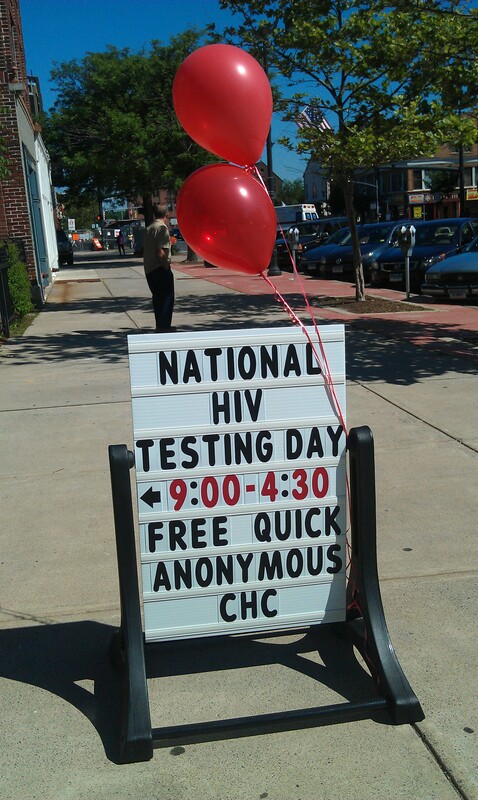 I also saw a woman, who would have been considered low-risk during the time prior to universal testing being implemented, who got tested for HIV at one of our CHC Testing Booths we had set up for National HIV Testing Day. Unfortunately, the Rapid HIV test came back as positive and so we sent out a serum test to confirm the result which is still pending. This woman, however, could not even believe that this scenario could happen to her. She immediately felt stigmatized, ashamed, overwhelmed, and could not even begin to fathom how she would ever tell her family and that she would rather end her life than face this disease. As you can imagine, all of us who have worked in HIV still to this day have too many of these stories to tell. Yet, the visibility that the HIV Testing Day and the Twitter events and the emails and the blogs and the Facebook postings and the conversations that we have all do bring about change in attitudes and outlooks and promote familiarity and knowledge—all the essential steps that are needed to conquer the stigma and shame that haunt our patients and communities here and around the world. So THANK YOU all once again for your contributions and enthusiasm and support of our HIV-infected and –affected patients and communities and for continuing the fight against this terrible disease.